Trump administration reportedly trying to convince Gulf monarchies to invest hundreds of millions of dollars in economic projects in Gaza. The Trump administration is trying to convince Arab monarchies in the Gulf to invest hundreds of millions of dollars in economic projects in Gaza, Haaretz reported on Sunday. The move is an attempt to calm the security situation in the coastal enclave and generate momentum before the White House presents its Middle East peace plan. Israeli and Arab sources quoted in the report said that the idea will be raised when Jared Kushner, President Donald Trump’s son-in-law and senior adviser, and Jason Greenblatt, the president’s special envoy, speak this week with the leaders of Qatar, Saudi Arabia, Egypt, Jordan and Israel. According to these sources, Kushner and Greenblatt hope to secure funding from the Gulf states and the cooperation of Israel and Egypt in implementing the economic projects. Kushner and Greenblatt are heading to the Middle East this week for talks focusing on both Gaza and the administration’s upcoming peace plan. According to the sources who spoke with Haaretz, among the issues Kushner and Greenblatt seek to tackle first is the energy supply for Gaza, which has suffered severe electricity shortages and disruptions in recent months. According to Israeli sources, one option being discussed is a solar energy project that would serve some of Gaza’s energy needs. It would be built near the Egyptian town of El-Arish in northern Sinai. The sources said that overall the White House hoped that somewhere between $500 million and $1 billion would be raised. Among long-term projects to serve Gaza, according to Haaretz, would be the construction of a port in northern Sinai and the building of a power plant and water desalination plant. 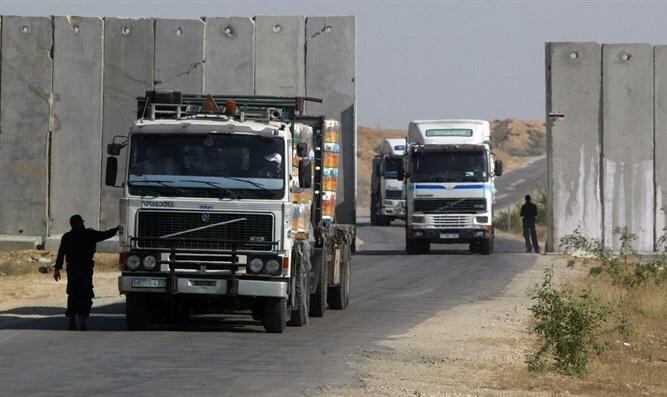 The general framework of most of the projects is construction in northern Sinai near the Gaza border. Such undertakings could create jobs for thousands of Gazans. Greenblatt and Kushner’s visit to the region comes as the administration continues to prepare to present its peace plan for Israel and the Palestinian Authority (PA).